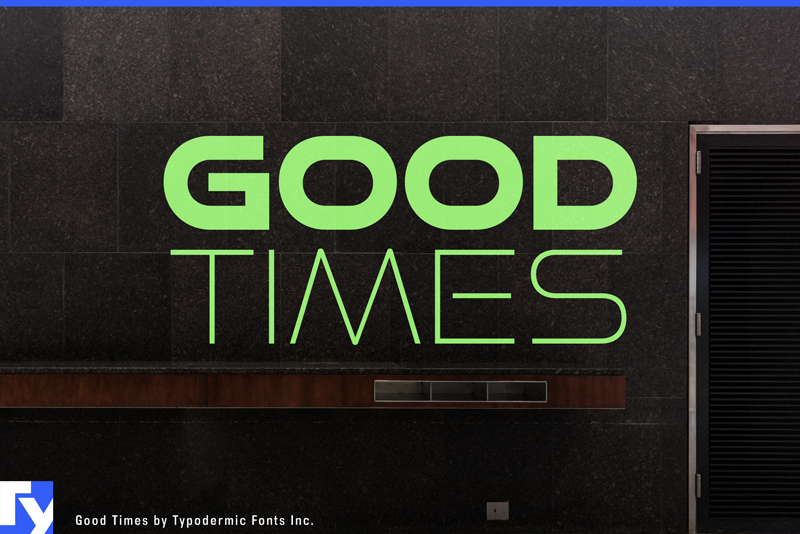 Good Times was originally created in 1998 and has been overhauled a decade later. Accents cover more languages. Good Times now includes fractions & numeric ordinals. When you’re using Good Times Bad Times in an OpenType savvy application, common letter pairs will be automatically replaced by custom pairs for a more realistic, stamped effect.